How to gain confidence? Let’s begin with focusing on what you have. Too many people always focus and complain on what they do not have. We all have a lot going for us if only we sit back and count our blessings. Start by focusing on what you have and your journey to gain confidence will begin on the right footing. You are what you think. If you think you know nothing then you really know nothing. But if you take time to believe in yourself, no matter how challenging this task is to you then you are on to something. Self belief is very important especially in learning how to gain confidence. Our thoughts affects our feelings and it affects our actions. One reason you may not belief in yourself is your fear. It could be fear of failure, that if you fail you will lose even more confidence and be an embarrassment. Nothing ventured nothing gain, give yourself the freedom to fail. You do not really fail unless you give up. So long as you continue to do what it takes for you to gain confidence then there is nothing to fear. The beauty is that the more you do the more confident you become. Think about a nine to 12 month old baby who’s learning to walk, how the baby eventually has full confidence and enjoys the new found freedom. The more the baby walks the more confident the baby gets. The interesting thing about our behavior and way of thinking is that the way we think, feel and do affects each other. If you cannot think confidence, then act confident. Worry less, act more. The more you act confident the more confident you will get. You actions will compel you to think confidently. It takes time, but one act builds on another and before you know it, your feeling and thinking will change. The more you act confidently, the better you feel and you will naturally gain confidence. Huh? You must be thinking, you have no confidence and yet I am suggesting you to learn new things? It’s been known to work for some of the people I counseled. Choose a hobby or skill you have always wanted to get into. As a newbie, you start from the ground up, so you get good basics and as you learn and become more proficient you gain more confidence. Learning new things will also unveil insights to yourself and ways on how to gain confidence elsewhere in your life. Try it. It’s very important to avoid people who are cynical about your attempts at anything. Get away from critics who are just out to bring you down regardless of how hard you did something. For some reason or another, they savor the opportunity to see people achieve less or achieve nothing at all. As if that will make them look better. Just as important to avoid toxic people is to gain support for whatever you are doing. Surround yourself with good encouraging friends. Good friends are like sunshine, soil, fertilizers and water to the confidence seed you are growing. Commit to a few things you will do. There is no use reading an article on how to gain confidence if you do not have a plan and commit to it. Commit to gaining confidence. Have a few things you feel doable in the short term and be sure to do them. You want to create a “things you have done well” list. It acts as a confidence builder. They need not be super-duper goals. Just goals you feel good about. Then increase the next goal to be a little more challenging. As you do, achieving goals will become a habit and hence build confidence. Another way that has worked for me is to read motivating materials. It is my way of feeding my mind with positive things and also to know that I am not alone in my quest. Sometimes, no matter how you try to avoid toxic people, no matter how discipline, committed you are, some things will beat you down. Reading or listening to motivating material is like fuel for your quest to gain confidence. Helping someone makes you feel good. It also allows you to see some of the qualities you have that you may have overlooked. Being able to help someone is a subtle and often overlooked way on how to gain confidence. Think about it, being able to help someone says that you do have some good skills other needs. How to gain confidence? You need not do all of it. Feel free to mix and match. Try different things. The important part is act upon your plan. Perhaps what affects you most is the fact that you are new at work and lack confidence. This in turns affects your self-esteem. Here are some quick guides to help build your self-esteem and confidence. 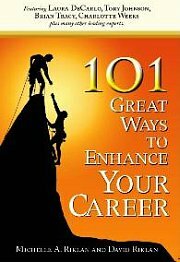 For recommended readings related to how to gain confidence, click here.